On August 15, 1855, a Protestant Episcopal society was organized in King's Bridge, and the name adopted was "The Church of the Mediator, Yonkers." In 1857, the society erected its first church, a frame structure costing five thousand dollars, on land presented by James R. Whiting, and a rectory was built soon afterward on adjoining land. Bishop Horatio Potter consecrated the church on November 6, 1864. The church is caretaker for another local landmark: one of the oldest, largest trees in the Bronx, known as the Corlear Sycamore, or Sister Tree, at Corlear Avenue and West 231st Street. The tree is so enormous that the sidewalk splits to accommodate it. 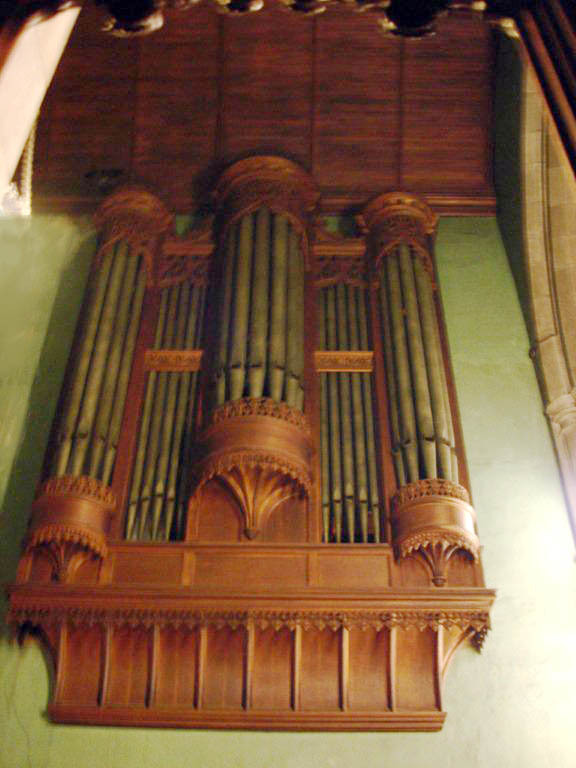 The organ in Church of the Mediator was built in 1923 by the Skinner Organ Company of Boston. 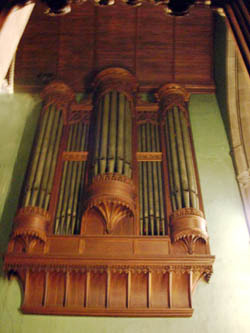 Skinner installed the organ in a chamber on one side of the chancel that is fronted by an oak case. The detached three-manual drawknob console has pneumatic combination action. "Church of The Mediator," a history of the first 100 years of the church. New York: Church of the Mediator, 1955. Courtesy Diocese of New York Archives. Cohen, Joyce. "If You're Thinking of Living In: Kingsbridge, the Bronx; A Place Convenient to Almost Everything," The New York Times, September 6, 1998. Glück, Sebastian. Notes on specification of Skinner Organ, Op. 439 (1923). Kinzey, Allen. 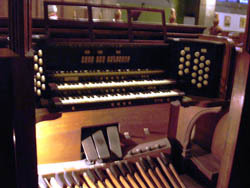 Specification of Skinner Organ, Op. 439 (1923). Courtesy Jonathan Bowen. Kinzey, Allen, and Sand Lawn. E.M. Skinner/Aeolian-Skinner Opus List (New Revised Edition). Richmond: The Organ Historical Society, 1997. Scharf, J. Thomas. History of Westchester County, New York, including Morrisania, Kings Bridge and West Farms which have been annexed to New York City. Philadelphia: L.E. Preston & Co., 1886. Diocese of New York Archives. Images of 1857 church, present church. Courtesy Wayne Kempton. Mahanor, Tali. Case and console of Skinner Organ, Op. 439 (1923).